So many people love seeing Dr. Guido’s one-minute TV spots! There would not be room enough to tell all the testimonies we have received over the years of how lives have been touched and affected by the short messages. Some stations, however, run the program at various times, or on a schedule that conflicts with those of our viewers who wish to see more of them on a regular basis. And although we post a new one each day on our Youtube channel, not everyone uses the web to such an extent. If you would like to more regularly view the program “A Seed For The Garden of Your Heart,” and not only that, but keep them in your DVD library for future viewing, we have created a Sower’s DVD club so that you can! 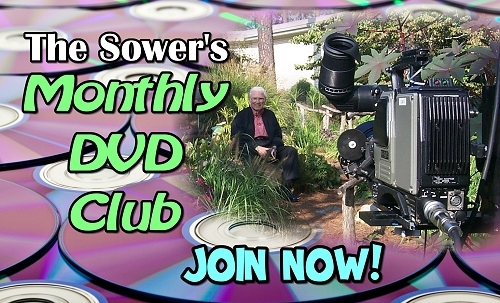 By subscribing to the Sower’s Monthly DVD Club, you will receive a DVD in the mail each month, which contains 25 of Dr. Guido’s beloved one-minute TV programs, one for each weekday. You will see the Gardens in their beauty, and enjoy the Sower’s message whenever you wish. And just for joining, you will receive -absolutely free- the following THREE special DVD productions! 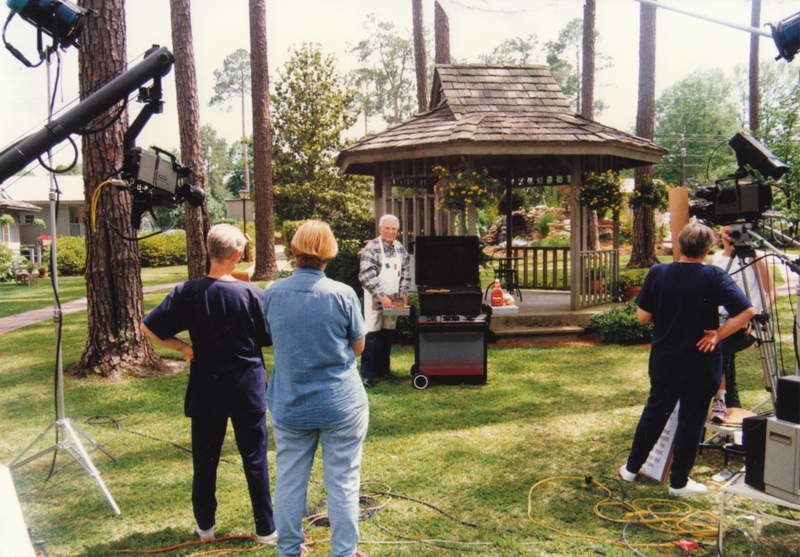 Bonus DVD #1: The Story of The Sower Ministry and 50th Anniversary. In 2007 the Guidos celebrated 50 years of multimedia ministry. This special DVD was created to commemorate that milestone. It features fifty selected TV spots from over the years, from the early 70′s when TV taping began, to the present. It also includes a thirty minute documentary as the Guidos tell the story of the Sower Ministry. See the workings of the Ministry today and enjoy scenes from the Guido Gardens. Bonus DVD #2 – Two Lives, One Ministry. This unique video collects photos and newspaper articles that chronicle the lives and accomplishments of Michael and Audrey Guido. You’ve read the stories and history, but this video will give you a personal look at the events that defined their extraordinary lives. Nearly 30 minutes of photos and articles, many of which have not been seen in years, and many never made available to the general public. Accompanied by beautiful music, including original songs by Archie Jordan. Bonus DVD #3 -The Official Garden Tour and Nights of Lights Video. With literally thousands of stockpiled programs in our vaults, you will enjoy new programs each month for years… for as long as you wish! And many of the programs which are in our archives, you will never see again on television; only our DVD Club subscribers will get them! Subscriptions are available for $10 a month, and you can pay for 6-month or yearly memberships. 6 months is $60, and 12 month is $100. You can cancel at any time. Click the button below for the membership you wish, and start to get the DVDs immediately, with FREE SHIPPING. You will want to share these brief, yet memorable messages with family and friends!